The Sundance hit recently played as part of the IDA's screening series. In 1992, teenager Sandi Tan and her two film-loving best friends spent their summer break making an independent film in their home of Singapore. It would have been one of the country’s first independent films if it had been completed. After filming, their director and film teacher Georges Cardona stole their completed footage. When Tan got the footage back two decades later, she decided to make a documentary about the making of her movie — and what exactly happened to it afterward. After a screening of her documentary, “Shirkers” (named after the original movie), as part of the International Documentary Association’s annual screening series in Los Angeles, Tan said the main question she’s gotten at Q&As is why she and her friends didn’t search harder for the man who stole their movie. Also, few understood that they had written a script, auditioned and hired actors, corralled hundreds of extras, secured the 70 rolls of film they shot for free from film companies, and filmed at 100 different locations across Singapore. Not many people were willing to help. For years after, Tan felt almost as if she’d dreamed the entire thing. And while she dreamed of making films, she became a film critic for a time, then went to film school at Columbia, and eventually became a novelist. But once she got the footage back, her childhood dreams resurfaced. She realized she had to investigate what happened with Cardona not only for herself, but for everyone involved in making the original movie. That was easier said than done. “It was really hard to convince people I could make this when I had nothing to show for it,” she said. She made the documentary with the same punk-kid spirit she had when she and her friends made the film back in the ’90s — and even hired a barista with one credit (but a lot of passion) to help her edit the movie. While Cardona painstakingly stored the film in climate-controlled areas for two decades, the sound was lost to time. So while some people have suggested Tan try to edit the original movie together, it seems like an impossible task. “I think that would be a fun project,” she said — although it would be incredibly time-consuming to match the soundless footage with what was in the script. Tan is definitely interested, though resistant, to the idea of dubbing it, since it could very easily feel tacky. She does, however, think it could work as a silent film. 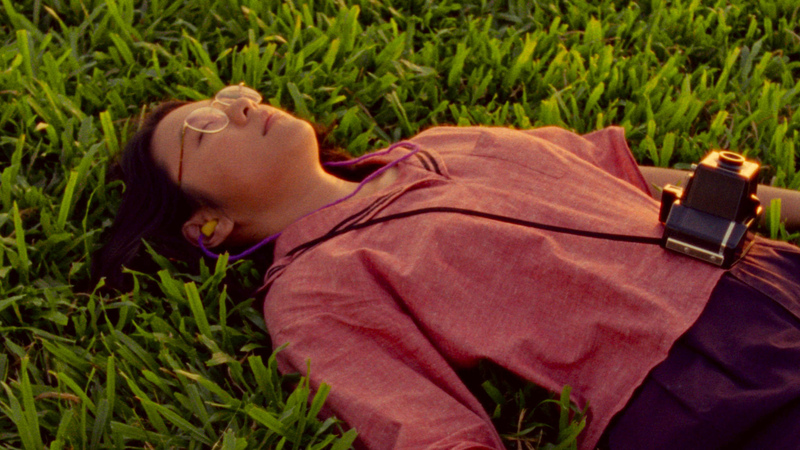 At this point, though, she’s happy that “Shirkers” (the documentary) can serve as an inspiration for people to finish their own long-gestating projects, especially people who don’t live in filmmaking hubs like New York or Los Angeles. When it debuts on Netflix Oct. 26, it will be available in 195 countries and 25 languages. “I just want people to watch this movie, people [from] small places like me,” she said.